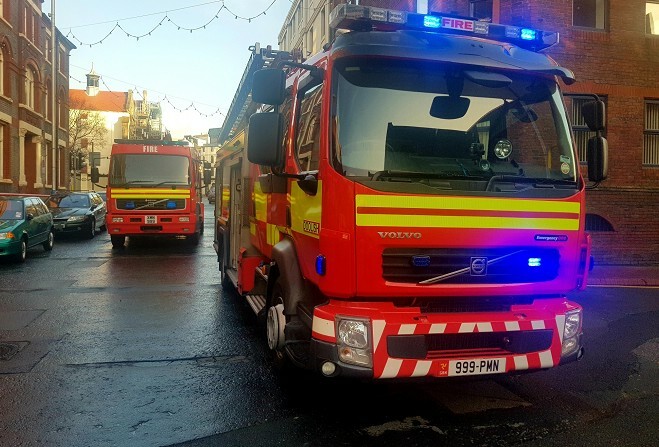 Fire crews were called to a property in Douglas this morning (Sat 9th) after reports of a smoke detector being activated. The occupant of the building was safely helped from the heavily smoke-logged building, though the fire itself was out on arrival. Crews used a fan to ventilate the building and stayed at the scene for around 35 minutes. Fire services are reminding members of the public that if there is smoke in the building . . you should keep low where the air is cleaner, get everyone out of the building as quickly as possible, stay out and call 999.